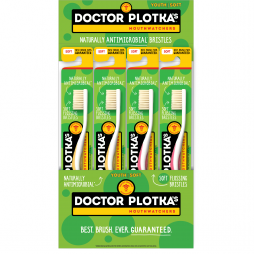 The Doctor Plotka’s Mouthwatchers Superior Manual Toothbrush offers a breakthrough in oral care by providing the optimal cleaning experience. 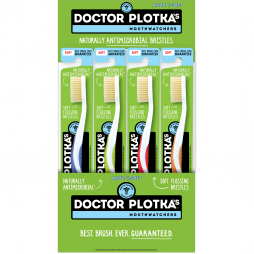 The revolutionary antimicrobial dual layer flossing bristles, reach into areas untouched by prior toothbrushes, leaving teeth and gums feeling just as clean as after a professional dental cleaning. Revolutionary Flossing Bristles™ – long, soft bristles with 1 micrometer diameter tips reach areas missed by other toothbrushes. Our bristles reach deep into teeth grooves and the periodontal pockets (area between tooth and gum) for superior cleaning, while harder inner bristles ensure complete cleaning of the outer surfaces and massage the gums. Bacteria thrives on a toothbrush after use – bacteria can lead to illness, cavities and gum disease. Flossing Bristles provide superior cleaning – the first and only toothbrush to properly clean areas where bacteria most often lives. Mouth Watchers was founded by Dr. Ronald Plotka, a renowned Boston area dentist. 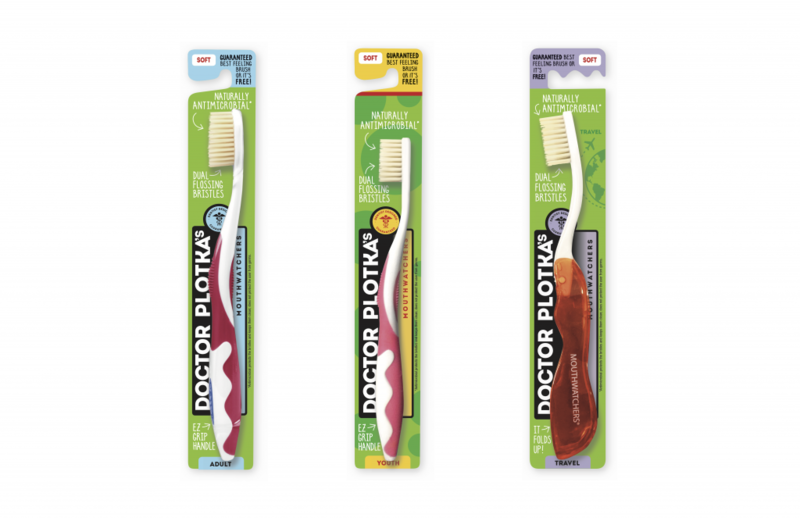 His 40 year passion for offering his patients the best oral care possible led him on a quest for a toothbrush that would truly benefit their health. 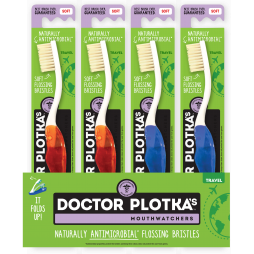 A unique combination of antimicrobial and dual layered flossing bristles™ provides the patient with THE optimal brushing experience. The number one compliment we receive from consumers using our super toothbrush is: “it feels like I just had a professional dental cleaning”. This is high praise for a toothbrush.